I am a world traveller & a mom of two, (8 & 6). I love to meet people, and am fascinated that there are 7 billion stories out there to be explored. I think Melbourne is the most happening city to live in with all the fun activities around town. Do you love Pizza and Ferrari? 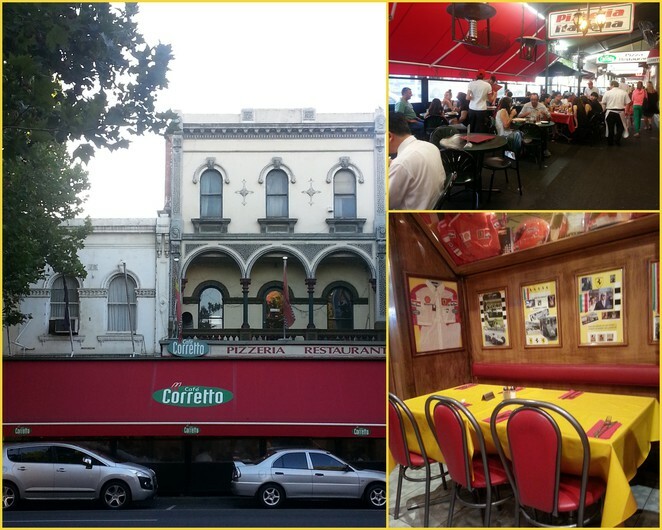 Lygon Street is lined with Italian eateries, and it is hard to pick where to eat. There are some places, however, that you visit more than once because your experience each time is just perfect. One such place is Cafe Corretto - a favourite with our family and friends. It is important to mention that as the name suggests, Cafe Corretto is not for those looking for a fine-dining experience. Yet, the food tastes so good that it is always a fine experience. The restaurant-owners have an obvious penchant for the Ferrari, as the whole place is decorated with Ferrari memorabilia. The decor has a Grand Prix festive feel. 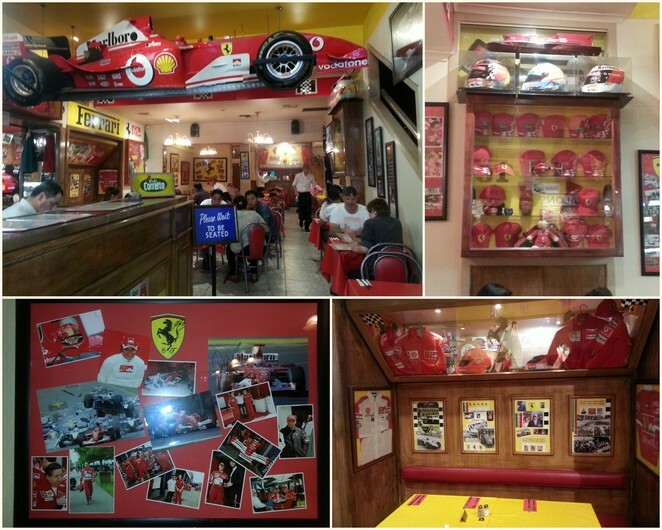 From autographed shirts to photos, to an actual Ferrari hanging in the restaurant, there is a Ferrari surprise for all enthusiasts. Keeping with the theme, the place is decorated with red and yellow tables and chairs as well. 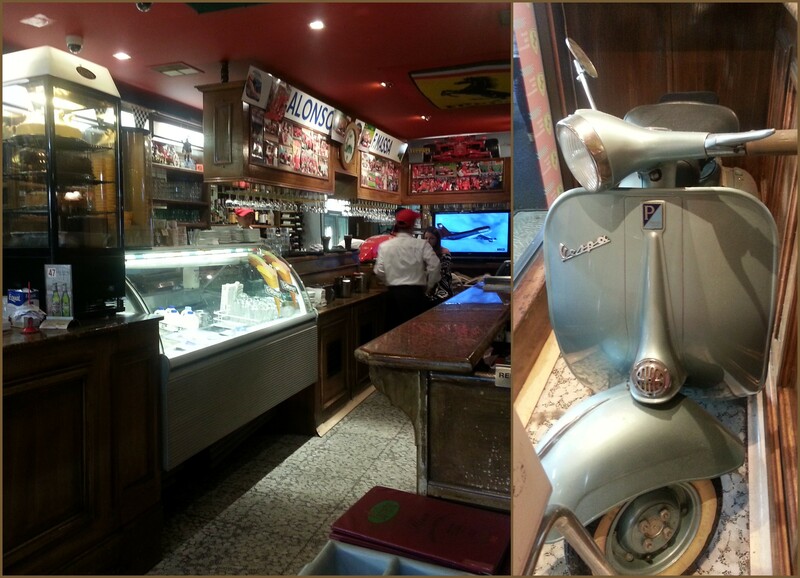 There are some other interesting items around the restaurant, if you wish to go on an exploring adventure. The menu is pretty straightforward. 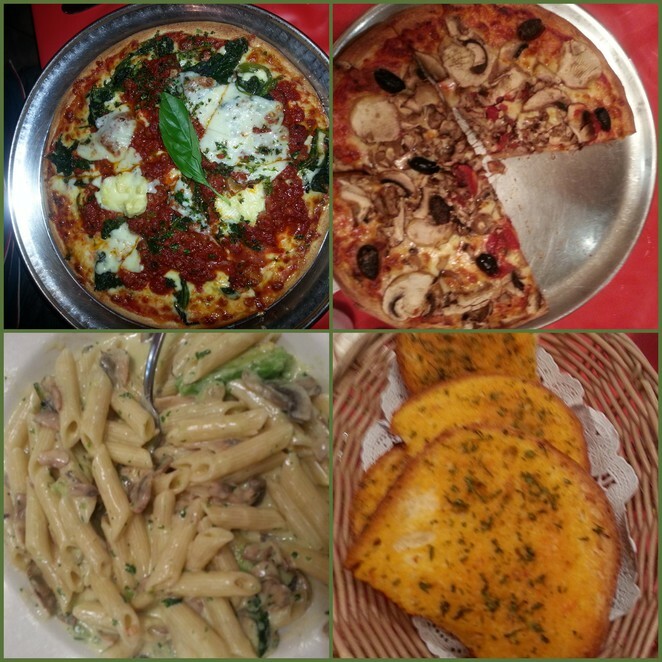 Pizzas, pastas, risottos, all reasonably priced so as not to cause a big gaping hole in a family's budget. With quick and friendly service, the experience is great. There is a large area for those who wish to have outdoor dining, and plenty of indoor seating available as well. They also serve great coffee, with standard cakes available for dessert, but if you fancy a gelato, that is not out of the question either. Fancy gelato or a scoopful, both can be served, as per your desire. 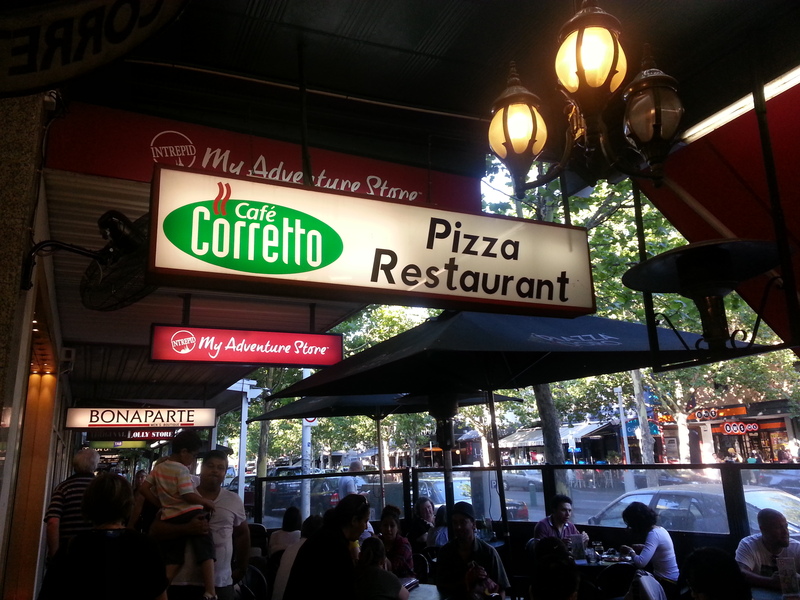 For a quick bite to eat when you are in the area and don't know where to go, Cafe Corretto is highly recommended.